Sample of Avon Bursary Award certificate. 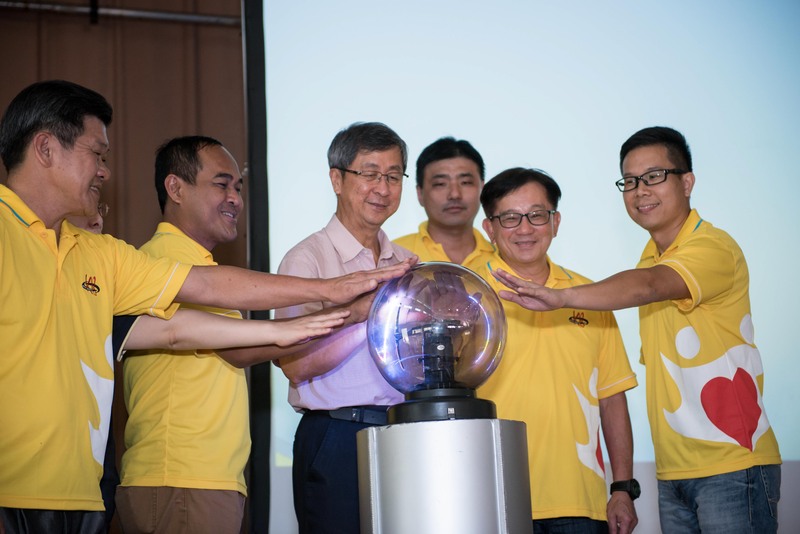 Launch of Kaki Bukit Befriender Team on August 23rd 2015. Guest of honour Mr Lim Boon Heng, Special Advisor to Chairman of Board of Management, People’s Association (3rd from left). Avon Group Executive Director Mr Tai Kwang Kit (Right). Certificate of appreciation to Avon Group from APSN. Avon is committed to enhance the welfare of our employees and their families as well as our society. In 2014 Avon was one of the Gold Sponsors for the Santa Run for Wishes held at Marina Bay on November 29th. 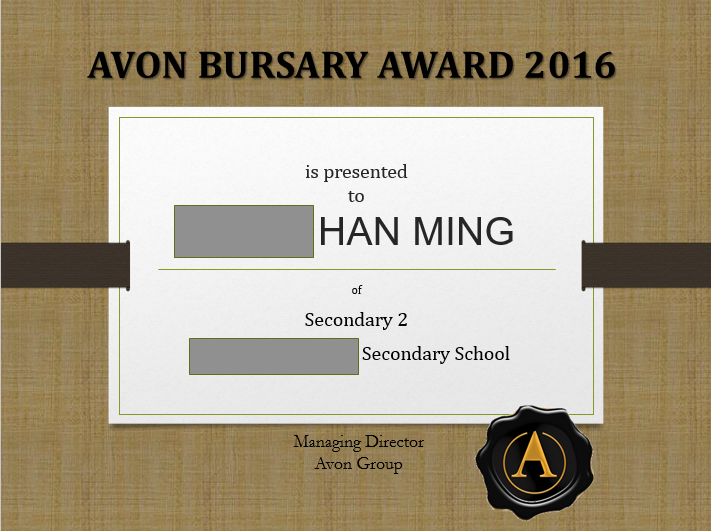 We also introduced the Avon Bursary program in which aims to allay our employees’ financial burden, specifically the education-related expenses of their children. In 2015 and 2016 the program was extended to include Financial Assistance for families with disabled members. In 2015 Avon was proud to be the main sponsor of the Kaki Bukit Befriender Team which strives to improve the living conditions of needy families with home makeovers. Avon Management, Operations and Administration staff participated in 2 home makeovers where they cleaned and painted residents’ flats. In the same year Avon started a partnership with the Association for Persons with Special Needs (APSN). This ongoing partnership was conceived to “give back to society” and support persons with special needs to contribute to society meaningfully. 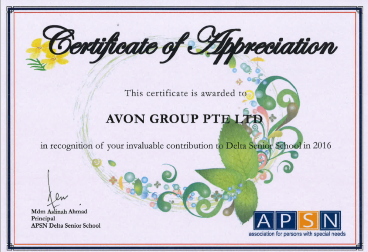 Avon has since worked with Delta Senior School and Centre for Adults within the association and supported them through direct full time employment as well as their school work experience programs. Avon currently works closely with five full time employees who are persons with special needs. Going forward, Avon endeavours to introduce and participate in more welfare initiatives.